With new headphone product announcements being made on an almost daily basis, it’s become difficult to get too excited as they come across our desk. Not to sound too jaded, folks, but the headphone bandwagon filled up a long time ago. 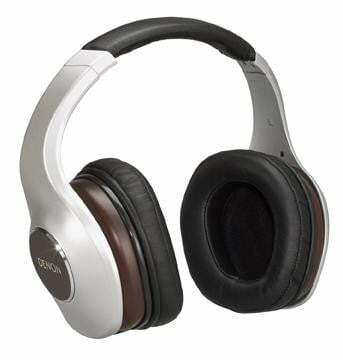 A recent announcement from Denon, however, managed to kindle some excitement for what 2012 has in store for headphone lovers. 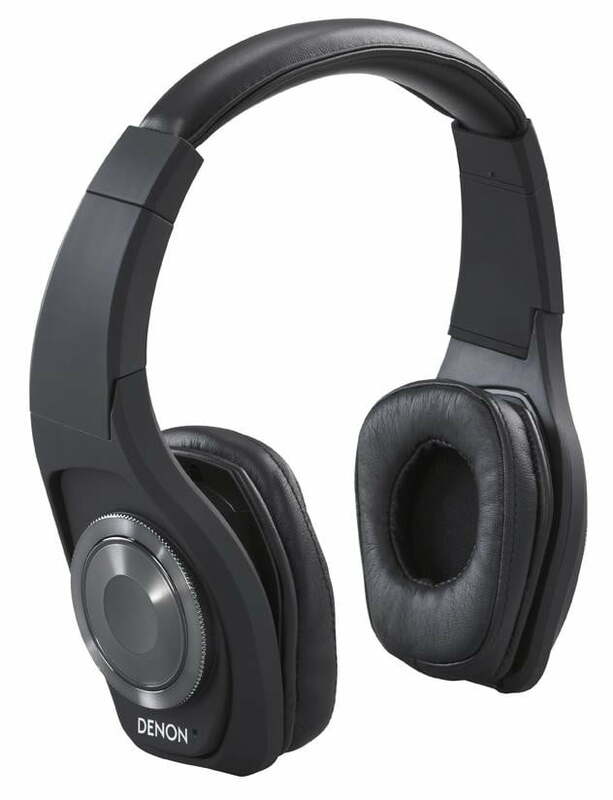 During a D&M Holdings (soon to be D+M Group) press conference, Denon executives announced a grand total of eleven new headphone models, besting a prior release of six new models in 2010 which, at the time, was billed as Denon’s re-dedication to the headphone market. 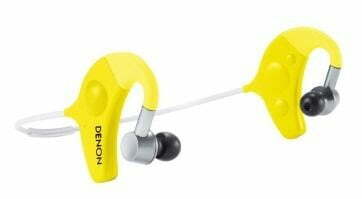 Denon’s wisely segmented its headphone offerings into four distinct, intuitive categories: Music Maniac (aimed at traditional audiophiles), Urban Raver (aimed at tech-savvy, younger listeners), Globe Cruiser (for the frequent traveler) and Exercise Freak (Sports/Fitness junkies). The new line-up isn’t just about clever nomenclature, though. Denon has integrated some seriously thoughtful and useful features into various models in its new line. For instance, all on-ear and over-ear models will feature pentagonal-shaped memory foam ear pads which Denon claims will seat more securely and comfortably on the ear. We’re also intrigued by Denon’s decision to place all integrated microphones within the headphone hardware itself (near the ear) rather than toe the line with an in-line mic. Mobile device control appears especially clever as Denon is integrating control wheels which will not only adjust volume, answer and end phone calls and change tracks, but will allow access to Siri on the iPhone 4S. Perhaps most importantly, we can expect these headphones will sound great. We’ve shared our enthusiasm for Denon’s excellent sounding headphones in the past –check out our Denon AH-D1100 review, for example– and we expect these new models will come through with more of the same signature sound. Each line comes with its own dedicated smartphone apps that allow for custom EQ curves, quick access to playlists and Internet radio, and punch-through access to relevant third-party apps such as MyFitness for exercisers or Kayak for travelers. Three models fill out the Music Maniac line, all of which are due August 2012. At $1300, the Artisan, AH-D7100 sit at the top of the line and promise superb sound, mahogany-graced ear cups, and a display stand to show it all off. Next down the line are the $500 AH-D6000, another over-ear style which should offer audio excellence at a more accessible price. Finally, the $350 AH-C400, which are billed as an audiophile-worthy in-ear offering, will sport dual balanced armature drivers. In the Urban Raver line, we find models similar to those in the audiophile-oriented Music Maniac line, but armed with built-in amplifiers to enable boosted bass and treble curves that tend to appeal to younger listeners. The $500 over-ear AH-D600 works both with and without the 12-hour battery which drives its built-in amplifier. The $350 AH-C400 is the in-ear version for this line. Both sport Denon’s control wheel and integrated microphone. We think these active noise-cancelers look good enough that they should have Bose owners drop-kicking their QC2’s onto the tarmac. 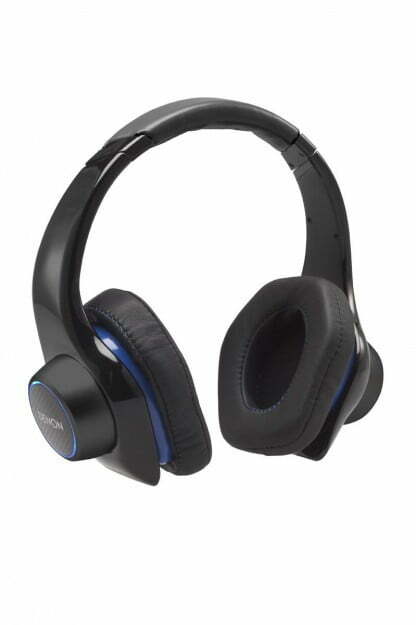 The $500 AH-NCW500 are due in September of 2012 and support Bluetooth 3.0 and aptX, which promises great audio quality. Plugging in the optional headphone cable disables the wireless functionality — a smart idea for plane travelers. We see the Denon control wheel here as well, but this model offers dual integrated microphones for supposedly better call and voice clarity on the go. The $180 AH-W200 are an attractively priced in-ear version with all of the same amenities, due a month earlier in August. “Freak” seems like a strong term but, hey, you don’t have to like it to see that these sports-oriented headphones have a lot to offer. The $150 AH-W150 are available in a handful of bright colors and feature Bluetooth wireless connectivity, a reflective rear band that keeps the ‘buds secure and your sweaty self safe as well as strategically placed ear cushions for added comfort and improved ventilation (read: less sweaty headphones). These also come with the mini version of the control wheel, access to Siri, and integrated microphone.